These are all 18/0 and 18/10 stainless steel bakeware with no non-stick coating. These are very hard to photograph (because of light reflection) it is like taking a picture of a mirror. The low light causes that strange color. Perfect for a large prime rib! Or anything in the oven. 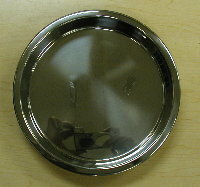 9" Round 18/8 stainless steel cake pan 1.5 inches deep. Standard size works for round layered cakes. 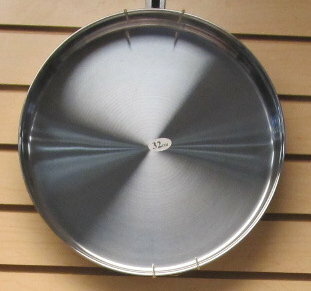 14" Round 18/10 stainless steel cake pan 2 inches deep. Standard size works for round layered cakes. 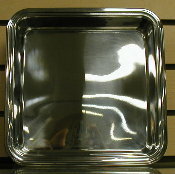 8x8 square pan 18/8 stainless steel. 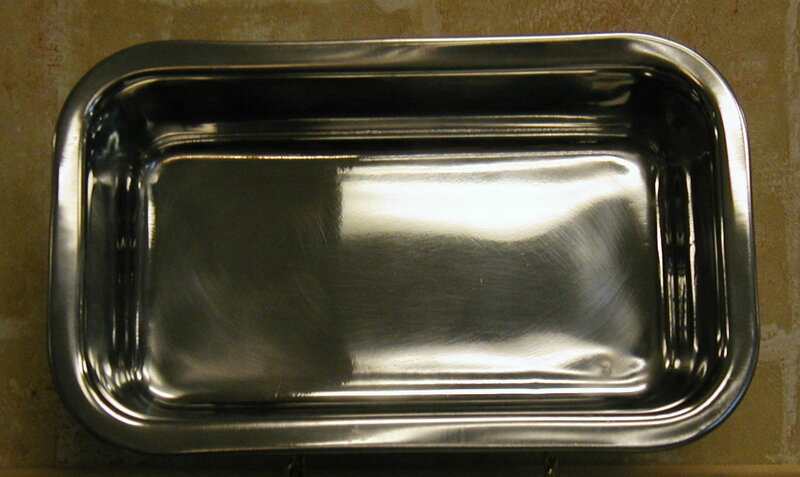 Loaf Pan inside dimensions 8.5"X4.75 "X2.25"
18/10 Stainless Steel 1mm thick. 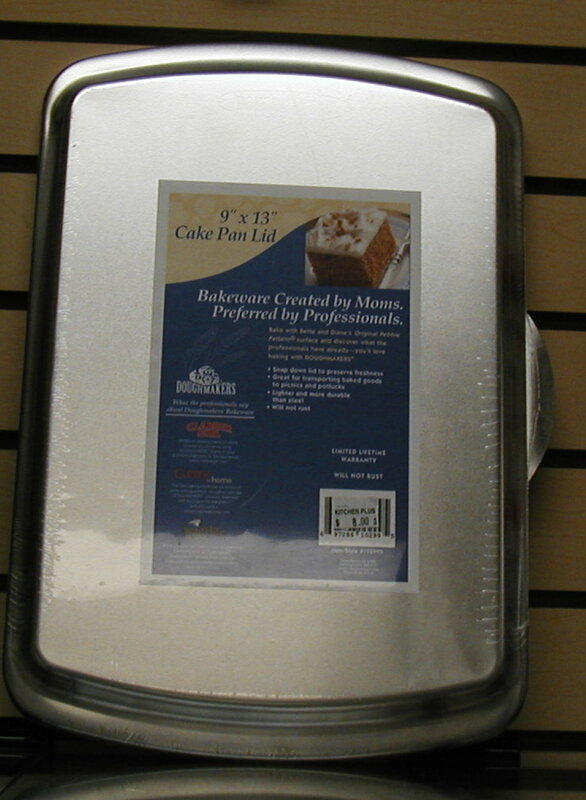 Rectangular pan is ideal for baking homemade bread, meatloaf or pound cake. Heavy 11 ounce pan compared to others. 18/0 stainless steel. 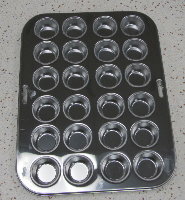 flat end for sliding off baked goods quickly and easily with no mess. 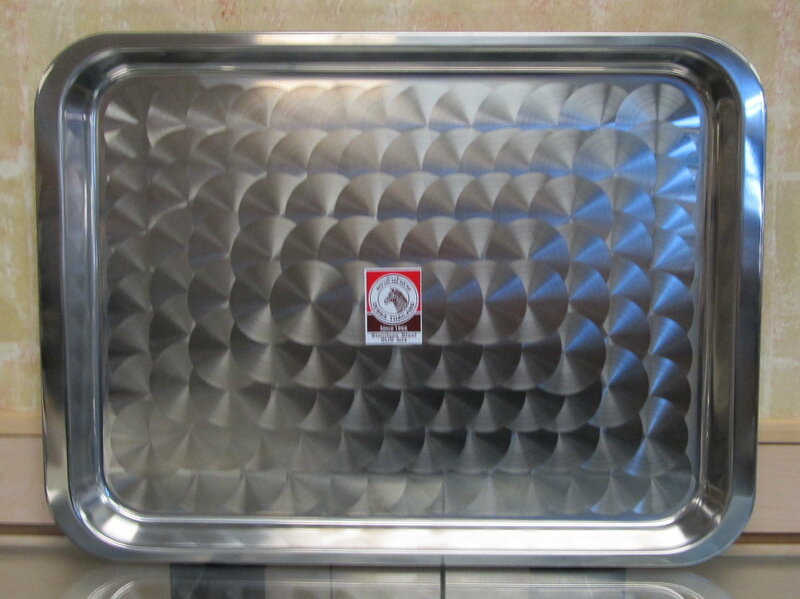 Lightweight stainless steel great for jelly rolls, log cakes, cookies and other baked goods. 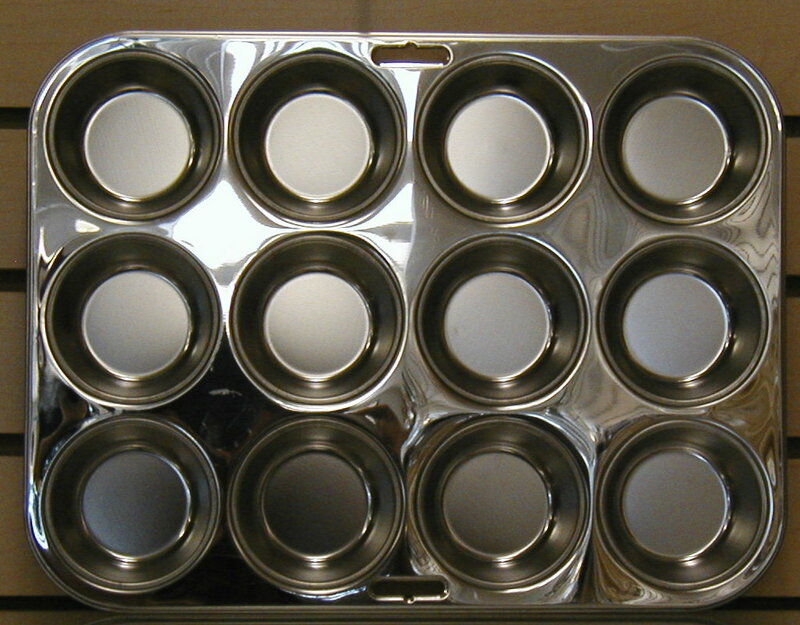 Mini Muffin Pan 24 cavity stainless steel. 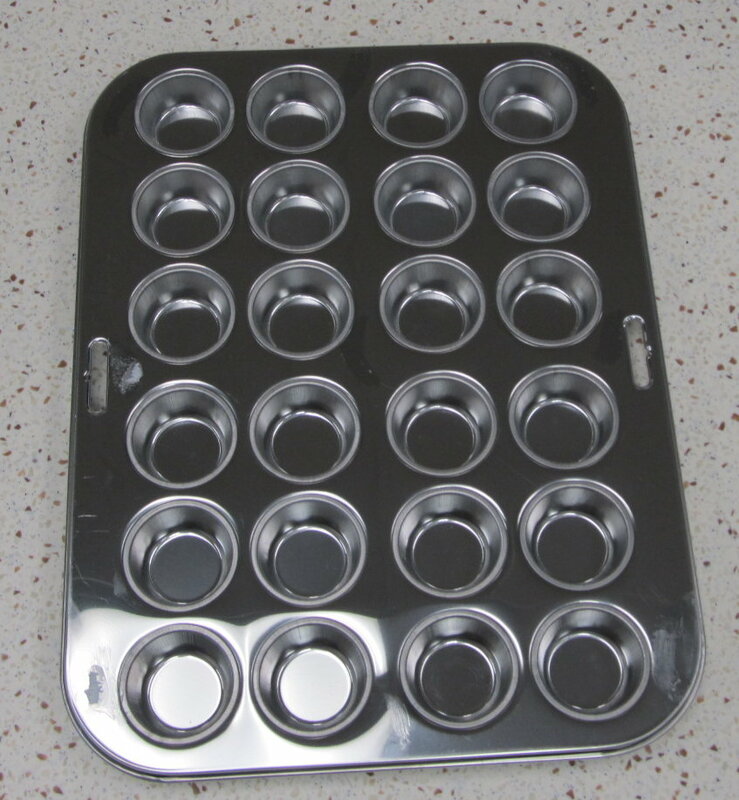 18/0 stainless steel 12 cup Standard muffin capacity for cupcakes or tarts. 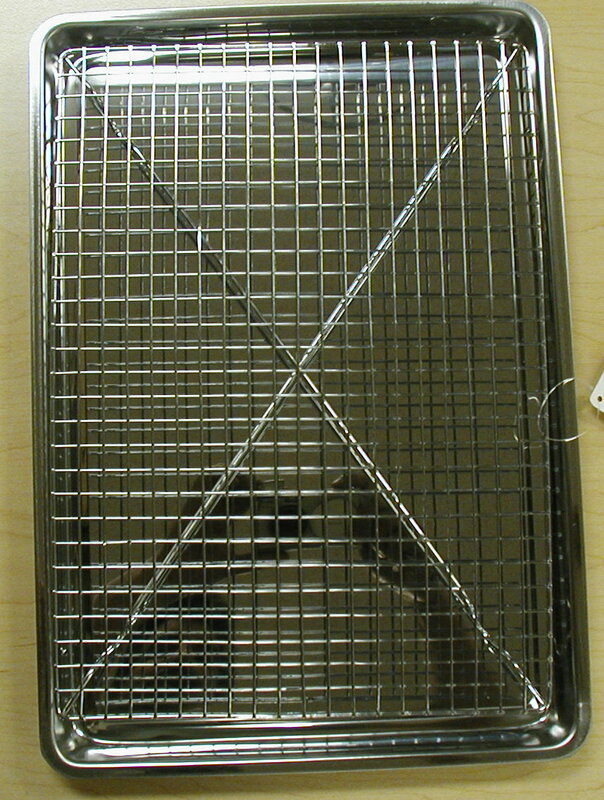 8" Square 18/0 stainless steel lightweight. 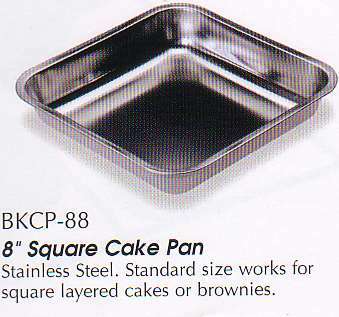 Standard size works for square layered cakes or brownies. 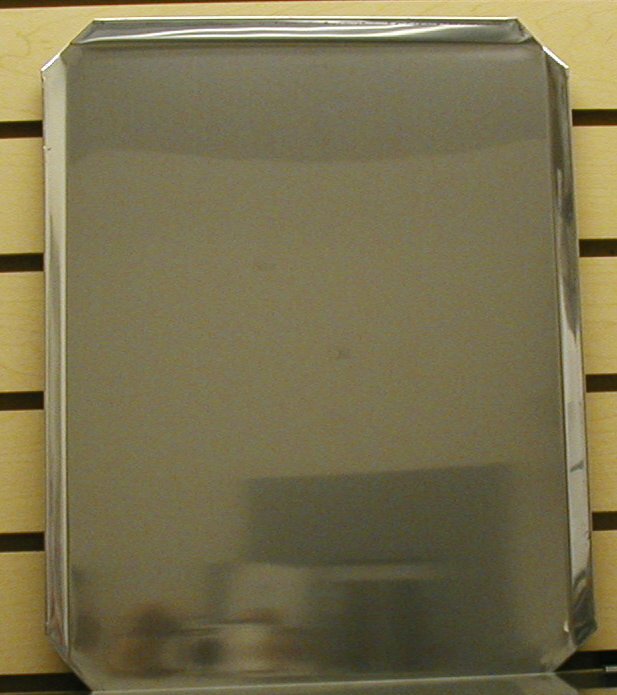 7.5 x 7.5 cooking surface. 8 3/8 inches from rim to rim. 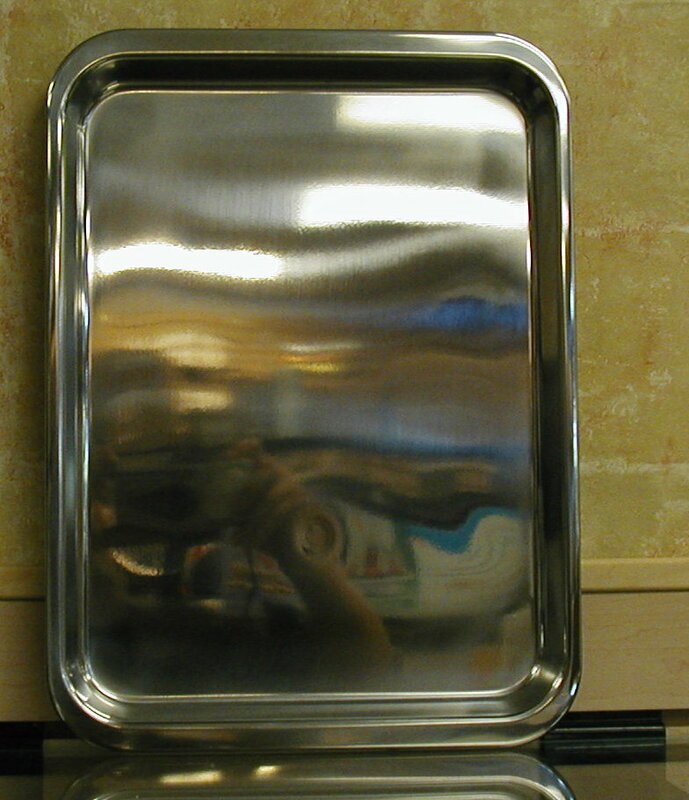 6.3 ounces stainless brownie pan. 1. Are these "real" stainless steel? Yes, these are "real" stainless steel. 2. Do these have any kind of coating? No, these are all stainless steel with no coating of any kind. 3. What brand are these? These are imports from China, we have sold these items for years, but they do not carry any kind of "name brand". All of these items have been sold for many years in our retail stores and web sites. Our customers are very happy with them. 4. Do these have non-stick coating? No, they do not have any kind of Teflon, or non-stick coating. Some are heavy and some are light. The more expensive items are heavier, and less likely to warp. 6. Why does a magnet stick to 18/0 stainless steel? 18/0 steel contains more chrome (18%) and no nickel, and therefore is more magnetic - it will stick, because it is more ferrous. Top quality 18/10 stainless steel will be only very slightly attractive, or not sticky at all addition of nickel neutralizes the natural ferrous properties of the iron in the stainless steel. In business since 1984 family owned and operated! 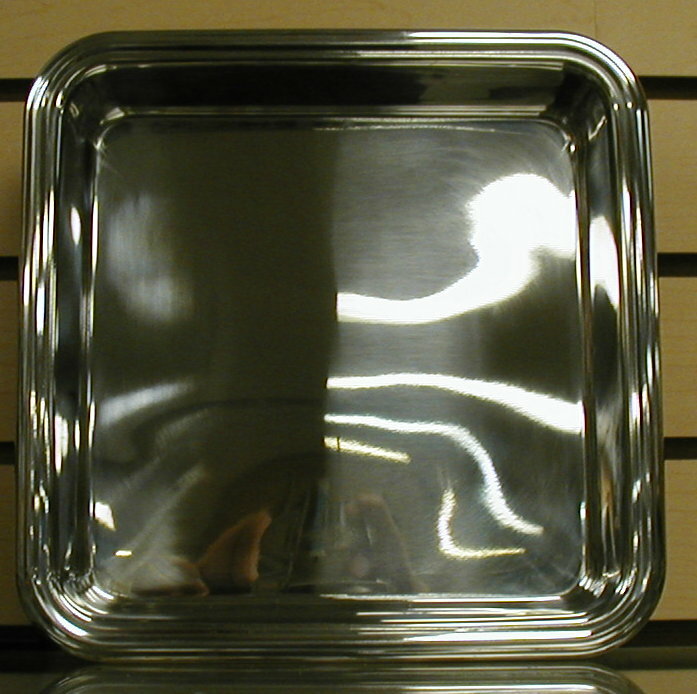 Proud to offer our 18/0 stainless steel bakware! 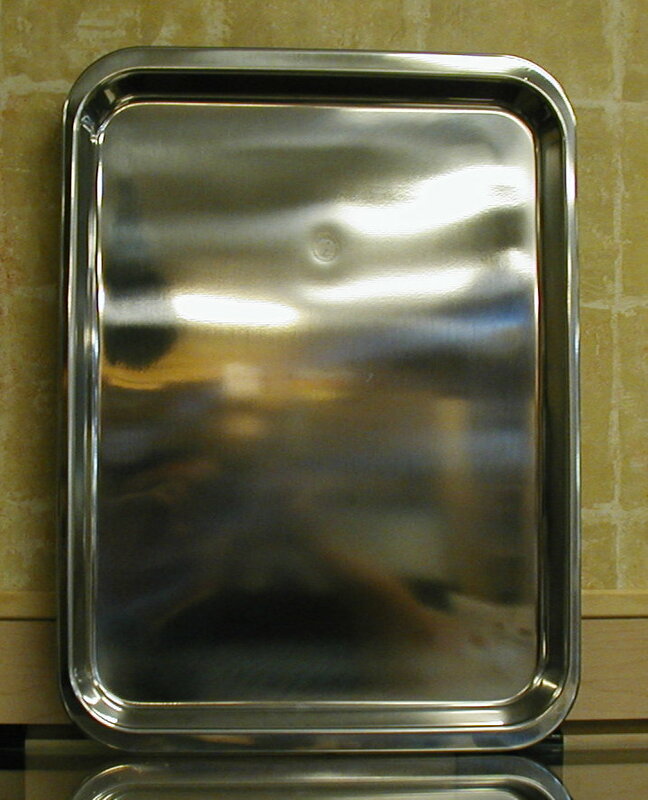 Kitchen Fantasy is your source for stainless bakeware.